EB Horsman Product Profile: Do you have Series Protection Power Distribution? 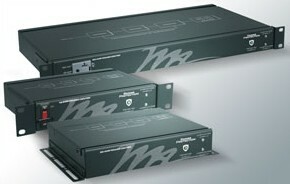 Do you have Series Protection Power Distribution? The Middle Atlantic PDR Series surge suppression is not new – but the Middle Atlantic Series Protection technology is, and it responds more quickly to a surge event than any other model on the market. This patent-pending technology provides instantaneous protection of AV systems from damaging surges and is available in a brand new family of power distribution units.